Several weeks ago, I had the privilege of receiving an advanced copy of a text, and while I appreciate the opportunity to read new works, I hope the author appreciates an honest review. 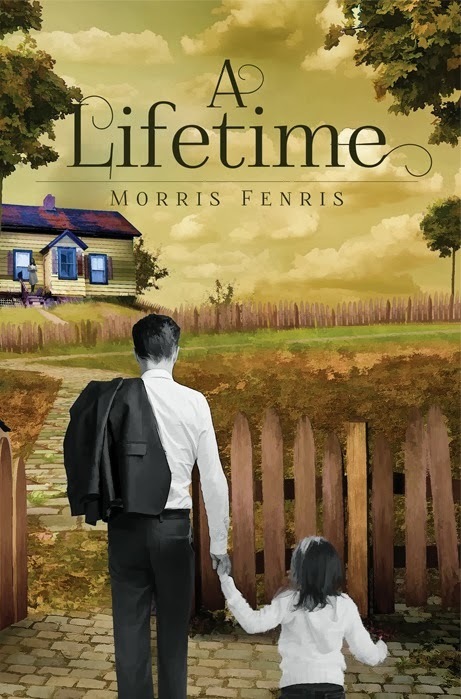 Morris Fenris’s A Lifetime is an ambitious short story of a man struggling to find meaning in life. Essentially all stories are about finding meaning in life, right? So we’re off to a good start. The unnamed protagonist struggles through the poverty of childhood on a plantation, the listlessness of young adulthood, and the pain of loss, but it’s through the joy of his daughter that he finds solace. Fenris certainly has the eye for an epic story. A Lifetime is the story of triumph, the joys of family, and the perseverance of the human spirit. And yet I didn’t feel the joy of reading as I plodded through its 20-something pages. A college professor gave me writing advice once (I mean, she gave me advice lots of times, but here’s the relevant one): write the first draft, and by the time you get to the end you’ll understand what you’re trying to say, and then write the second draft. Fenris wanted to write about a man’s life. Well, he started at birth but definitely didn’t end at death. He ended prematurely–right around when the narrator’s life seems to begin. I’m crossing my fingers Fenris will write a sequel. When tragedy strikes the narrator, I didn’t feel a twinge of pain or empathy. Maybe I’m still jaded from watching “Downton Abbey,” season three, episode five. But I wonder if Fenris felt anything either. In the words of Robert Frost, “No tears in the writer, no tears in the reader.” Part of the problem here is the lack of any character development. When a character is impacted, it’s like a feather floating into a pillow: soft and fluffy. … I mean, unnoticeable. As the (extremely) colorful writer Anaïs Nin said, “We write to taste life twice, in the moment and in retrospect.” We all know how … varied … Nin’s life must taste, but Fenris’s must be made of a much blander palate. A Lifetime is a straightforward retelling of events–no embellishment, no imagery, no art. I caught glimpses of humanity in the characters, during brief moments, but I remain unconvinced. I hope Fenris continues working at his craft, though. His material is, at its core, fascinating and compelling. I think I would enjoy an entire novel about the boy on the plantation, or a novel beginning where A Lifetime ended (which, don’t be deceived, isn’t at the end of the narrator’s life).